Abisheganaden, Alex (b. 31 January 1926, Singapore - ), musician, was awarded the Cultural Medallion in 1988. 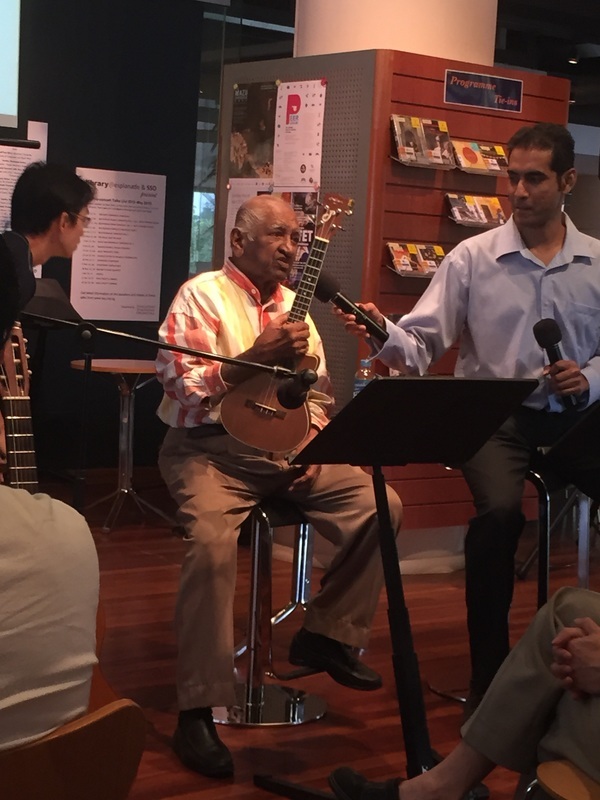 He is Singapore's first homegrown classical guitarist and double bassist, and dedicated much of his life educating and popularising the performance of music on the guitar. Although his full-time career was in the education service, he developed an enviable reputation as a highly versatile musician, equally adept in classical, popular and traditional genres. A True Pioneer of Singapore! 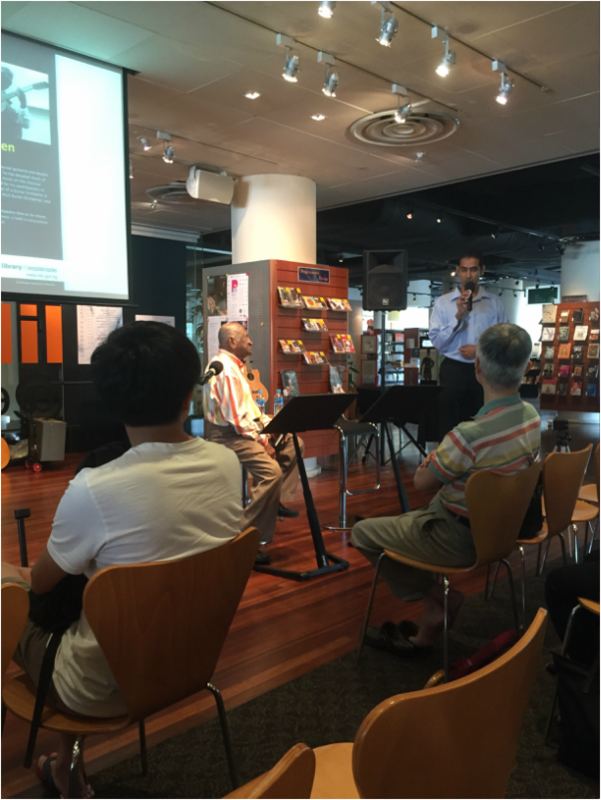 It was a momentous occasion on 11th July 2015, when students and admirers of Maestro Alex came down to the esplanade library to have a up-close and personal session with the legendary teacher and musician. The audience was educated and entertained by Ma﻿estro Alex, and﻿ he closed off the event with an emotional rendition of his classic composition, 'Talking Atomic Blues'. Hurray Maestro Alex!